Write reviews to win a new beauty box each month! We're looking for the next Beauty Review Pioneers. Each month, the person with the most reviews on beauty businesses will receive a seasonal beauty box (worth approximately $50). Winners will be announced each month on this page. All you need to do is start writing reviews! Important: Please read these Official Rules before entering any contest (each, a "Contest"). By participating in a Contest, you agree to be bound by these Official Rules and represent that you satisfy all of the eligibility requirements below. Sitejabber.com ("Sitejabber" or "Sponsor") occasionally gives away prizes to reviewers. A Contest will be deemed eligible for prizes only after 10 or more individuals participate, otherwise no prize will be awarded. The winner of each Contest will receive one beauty box (valued at $50). Starting September 1, 2018, a new Contest (with a similar prize) takes place over the course of each calendar month period and ending on the last second of the calendar month period. All entries must be received during the applicable calendar month period to be eligible to win the Contest. Within 7 days after the end of each calendar month period, the winner will be selected from the user account with the most number of reviews written on beauty businesses during that period. If there is more than one reviewer with the most number of reviews, the winner will be chosen based on the most first reviews, then the most helpful votes, and then the reviewer who entered the contest first. Only one Sitejabber.com user account is permitted per person. Registering or using multiple user accounts or violating any of the Terms will disqualify all of your reviews. Reviews from one calendar month period will not roll over to the next calendar month period. Limit one prize per household or address per month. The potential winner of each Contest will be notified by email within 7 calendar days of being selected. You must respond to our email to provide your mailing address, and if you fail to respond or to provide us with a valid mailing address within 7 business days, you will forfeit the prize. Sitejabber will make only one attempt to contact the relevant potential winner by sending one email message to the potential winner, and Sitejabber is not responsible for any kind of communications failure which prevents that email message from reaching the potential winner. If any prize notification or any prize is undeliverable or is otherwise not claimed within 7 days of notification, the prize will be forfeited and awarded to an alternate winner from the pool of all eligible entries. No substitution of prizes is permitted except by Sitejabber, in which case a prize of equal or greater value will be awarded. Prizes won by persons under the age of 18 or legal age of majority in your state of residence (a "Minor") will be awarded in name of parent or guardian on the Minor's behalf. All taxes on or associated with prizes, including income taxes, and any incidental expenses associated with collection of a prize are the responsibility of the winner. Each prize will be awarded. You assume all liability for any damages caused or claimed to be caused by participation in the Contest or by the acceptance and/or use of any prize and you (and if you are a Minor your parent or legal guardian) release Sitejabber, and its parent companies, subsidiaries, affiliates, directors, officers, professional advisors, employees and agencies (collectively, "Released Parties") from any such liability. IF YOU ARE A MINOR, YOUR PARENTS OR LEGAL GUARDIANS FURTHER AGREE TO INDEMNIFY EACH OF THE RELEASED PARTIES FROM ANY claims, costs, injuries, losses, or damages DESCRIBED IN THIS PARAGRAPH WHICH MAY BE SUFFERED BY YOU. Acceptance of any prize constitutes permission (except where prohibited by law) to use the winner's name, city, state, likeness and/or voice for purposes of advertising, promotion and publicity without additional compensation or notice. As a condition of being awarded any prize, except where prohibited by law, each winner (and if winner is a Minor, winner's parent or legal guardian) may (in Sponsor's sole discretion) be required to execute a consent to the use of such winner's name, city, state, likeness and/or voice, without limitation, for promotional purposes without further permission or compensation. To earn an entry into a Contest, you must have a valid Sitejabber.com account with a completed profile including an uploaded profile photo. Then, during the applicable calendar month period, write reviews of specified beauty businesses from which you have used products or services. Each completed, active review, consisting of a text review of at least 100 characters, will contribute to the final count for the Contest. All reviews must comply with our terms of service and any review that fails to do so will not be eligible to count for the Contest. Any review submitted to Sitejabber that violates our content guidelines is subject to deletion and will not count for the Contest. There is no limit to the number of reviews you can submit. The Released Parties are not responsible for telephone, network, electronic or computer failures of any kind, or for entries that are stolen, misdirected, incomplete, garbled, delayed by computer transmissions, lost, late, damaged, or ineligible. All entries become the property of Sitejabber. Each Contest is open only to legal residents of the 50 United States (including D.C.) who are over the age of 13. If you are a Minor, prior to awarding a prize in connection with your entry, one of your parents or legal guardians must submit a signed, written statement that they have read, understood and agree to these Official Rules, and that such agreement constitutes acceptance of these Official Rules on behalf of you and themselves. Employees and consultants of Sitejabber, its sponsor(s), its advertisers, and their respective affiliates, subsidiaries, advertising and promotion agencies, and members of the immediate families of any of the foregoing are not eligible. All federal, state, and local laws and regulations apply. Void where prohibited. 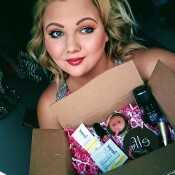 The beauty box prize will be shipped to the applicable winner within 2 weeks following the date that Sitejabber receives winner's shipping address. Sitejabber is not responsible for shipping delays, and reserves the right to substitute an alternate prize of equal value as the beauty box, including but not limited to, in Sitejabber's sole discretion, cash. As a condition of being awarded any prize, each winner (and if winner is a Minor, winner's parent or legal guardian) may (in Sponsor's sole discretion) be required to execute and deliver to Sponsor a signed affidavit of eligibility and acceptance of these Official Rules and release of liability, and any other legal, regulatory, or tax-related documents required by Sponsor in its sole discretion.